Since March I’ve been working as middle years focused Children’s Librarian. One of the programs I inherited is a Tween Book Club that meets once a month to discuss a book or graphic novel we’ve all read the previous month. I was so nervous to take over this program, but it has been an absolute joy! I’m really starting to get to know the kids, and we usually end up laughing the entire way through our meeting. My group really loves graphic novels. They read Smile by Raina Telgemeier last fall and we recently read Bone #1: Out From Boneville by Jeff Smith. With a limited number of graphic novel book club sets to choose from, we settled on Yotsuba&! 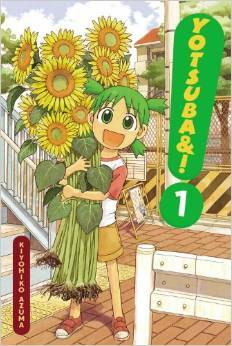 by Kiyohiko Azuma for this month’s choice. Each meeting is an hour long. Here’s what we got up to! I usually choose something silly and quick. 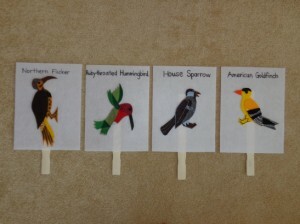 This week I challenged the kids to line up in birth order without talking. This led to lots of giggles and wild hand movements. Talk about a scene that stood out to you. What would you do if you were _________ (insert character’s name)? What would you if you met __________ (insert character’s name)? I found a bunch more examples on this website. I printed these out and gave each kid a few of them. Then we took turns saying the nonsense phrase and we all tried to guess the real phrase. They thought this was so hilarious! Flannel Friday – May 16th! Thank you all for making our first time hosting Flannel Friday a wonderful experience! There are so many great submissions below that we feel honoured to be part of this community. We’ll be sharing these on Twitter as well, so follow along with the hashtag #flannelstorytime. Here it goes! 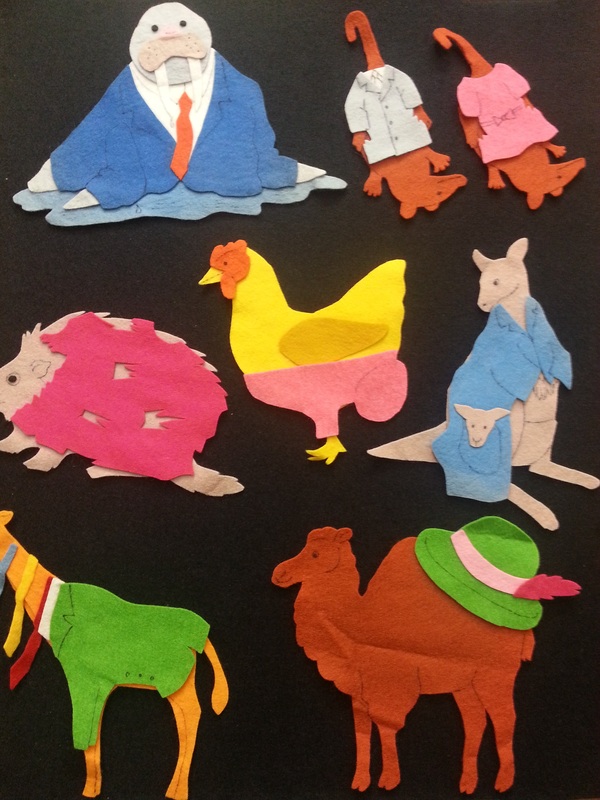 Lisa at Libraryland made these adorable sets of birds to go along with the nursery rhyme “Two Little Blue Birds.” We love her suggestion of switching out the names – Brad and Bill, anyone? 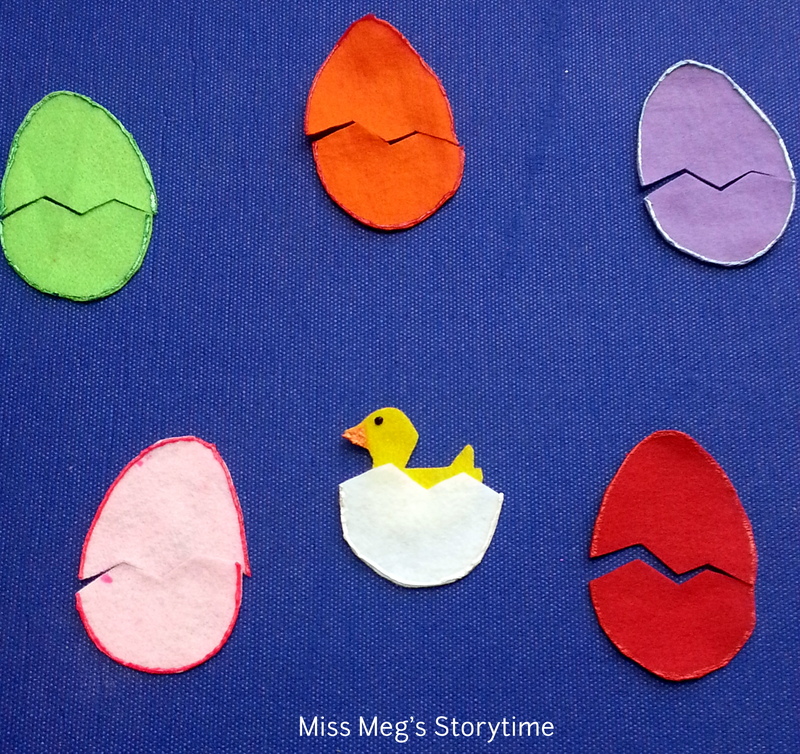 Meg at Miss Meg’s Storytime shared her baby duck hide and seek guessing game. 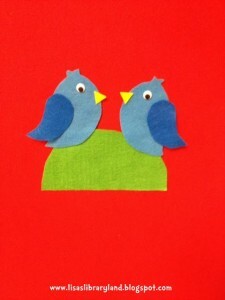 Perfect for toddlers and babies, and she even included a printable template! 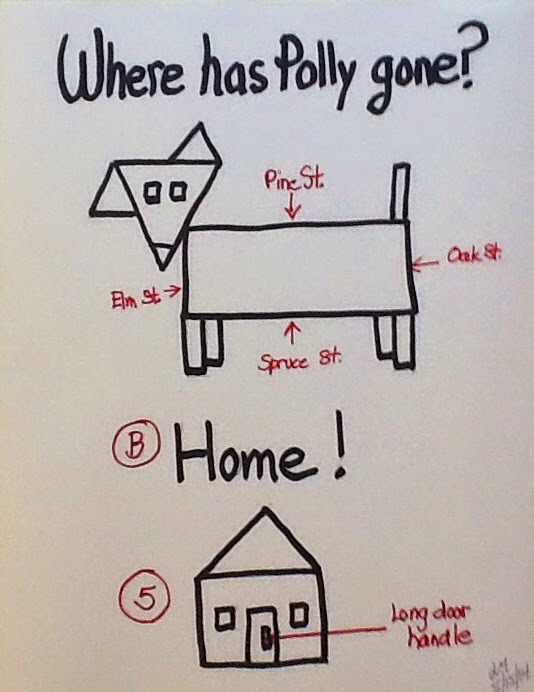 Linda at Notes From the Story Room blew us away with this step by step draw and tell story called “Where Has Polly Gone?” It works great for a Shapes Storytime because the shapes are polygons (get it? hehe). 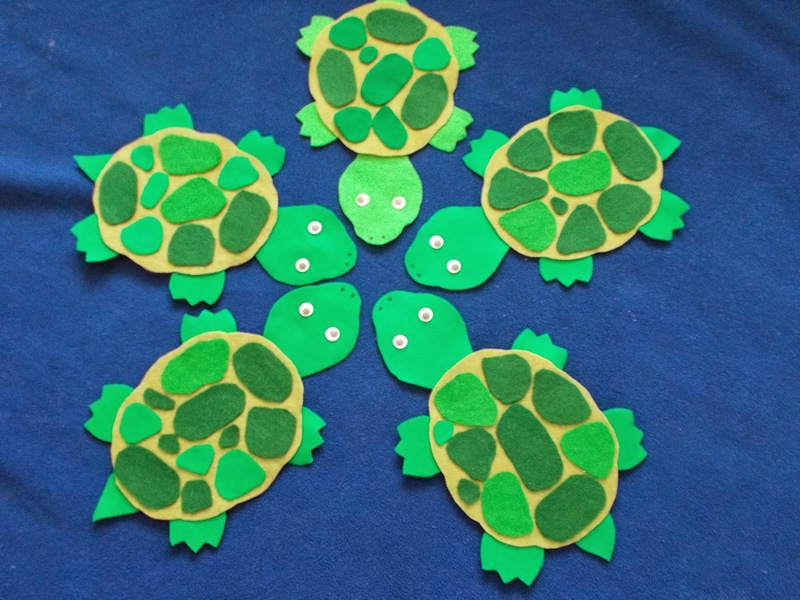 Kathryn at Fun With Friends at Storytime wrote an original rhyme for her “Down by the Pond” Storytime, and then made these adorable turtles to go with them. We love that she makes them nice and big for everyone to see. Sue from Library Village shared a brilliant felt version of the story Duck! Rabbit! by Amy Krouse Rosenthal and Tom Lichtenheld. 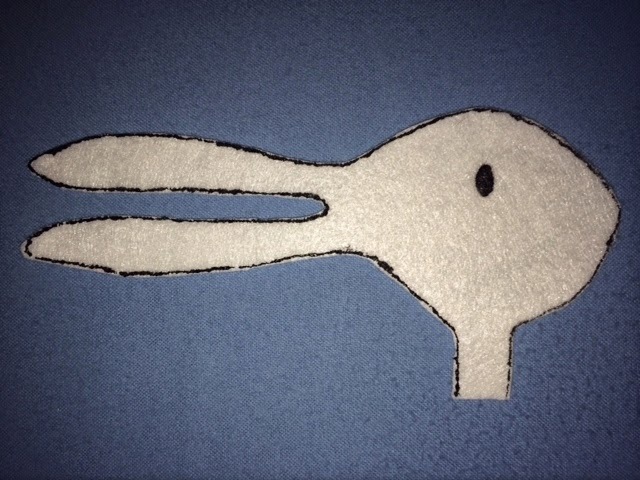 What do you see – a duck or a rabbit?! We see an amazing felt story! Hannah at Lovin’ the Library created this Bug version of “Brown Bear, Brown Bear.” We especially love the early literacy tip she shared with parents – encourage kids to make up their own version using their favourite animals! 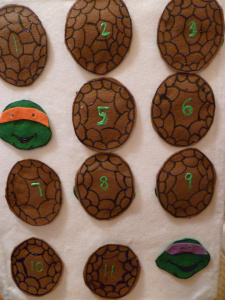 Anne at ItsyBitsyMom shared this supertastic Ninja Turtles shell guessing game. Pretty sure every single kid at our storytimes would LOVE this flannel! A must-have addition to any future superhero storytimes. Kim at Destination Storytime shared her first ever Flannel Friday story! She made a garbage truck that looks like it jumped out of I Stink! to play a letter awareness game based on the Alphabet Soup recipe from the book. So interactive for those squirmy toddlers! Bridget at What is Bridget Reading? 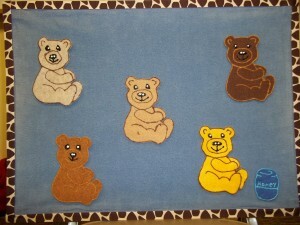 also made a guessing game flannel set involving five bears and a pot of honey. Even better, she links to her Teddy Bear Picnic program which was a hit with the kids at her library. Lisa at Thrive After Three made an incredible set of bird props based on Lois Elhert’s book Feathers For Lunch. 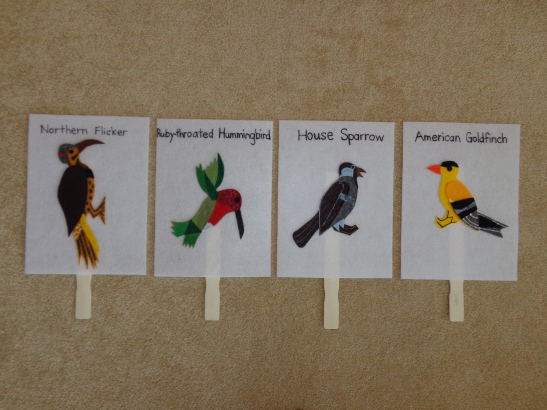 The level of detail is absolutely amazing and we love the cheat sheet she put on the back of each bird to help her remember the story. 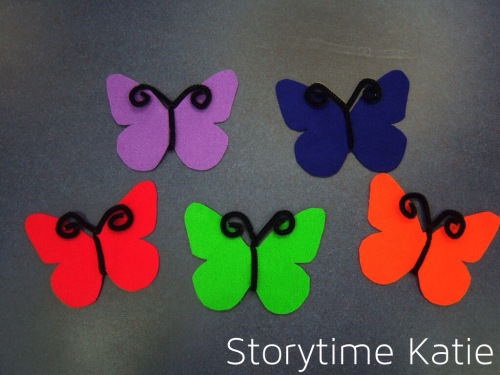 Katie at Storytime Katie crafted some beautiful butterflies using felt and pipe cleaners that we think are perfect for a spring storytime. She’s also got a rhyme to go with it that emphasizes the colours of the butterflies. These are so simple, yet so vibrant! We shared a flannel this week too! Dana shared her number storytime which included her 7 Ate 9 joke felts she used to start the session off with a giggle. Can’t go wrong with good old fashioned humour. If we’ve missed your submission, please leave a comment letting us know and we’ll add it in ASAP. 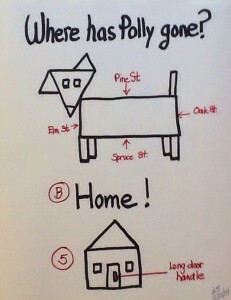 And make sure to check out Flannel Friday on Facebook and Pinterest! It’s our first time hosting the Flannel Friday roundup and we are so excited! Thank you Meg for the GIFs! 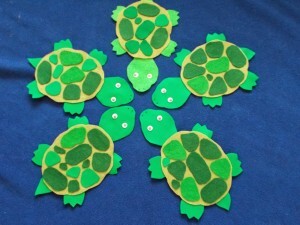 Flannel Friday is a weekly event in which participants post a description of a flannelboard, puppet, or prop storytime activity on their blogs every Friday. It is a way of sharing ideas, encouraging new techniques, and building community among children’s library staff around the world. Anyone can participate in Flannel Friday! Find out how at Get Involved. If you’d like to participate in this week’s roundup, just leave a comment on this post! It has been awhile since I’ve posted just a regular old storytime outline (too much ranting and raving I guess!) but this was one of my favourites in recent memory PLUS I whipped up a flannel for it to celebrate hosting Jbrary’s first Flannel Friday! Without further ado I present Count ‘Em Up: A Numbers Storytime. For my Family Storytime I always start with Hello Friends, Roly Poly and Open Shut Them just to get us all warmed up and familiar again. Then I introduced the theme for storytime with my felts and an epically awesome joke. Are you ready? Why was 6 afraid of 7? 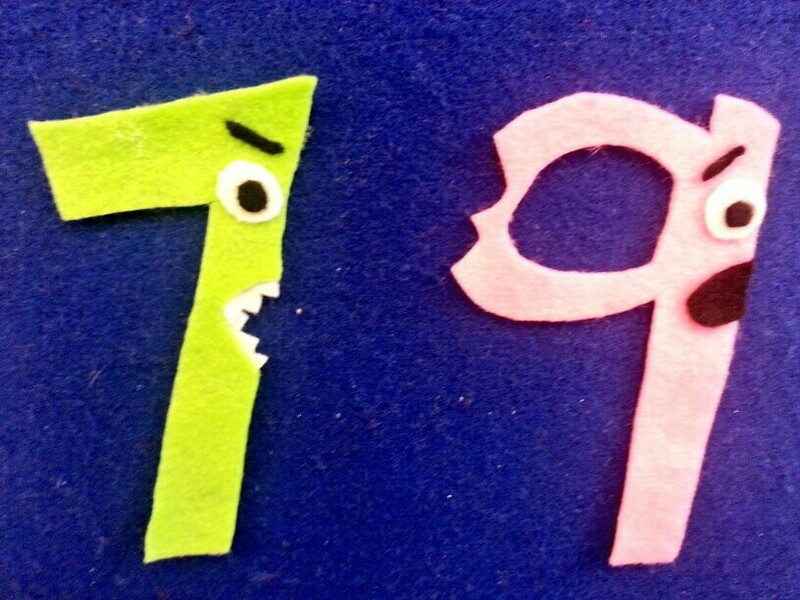 Because 7 ATE 9! While the crowd was still deciding whether my joke was funny or not I read my first book. I started with The Long, Long Line by Tomoko Ohmura which requires a fair amount of patience up front as you count down the long line of animals who are waiting for a (surprise) whale ride at the end. 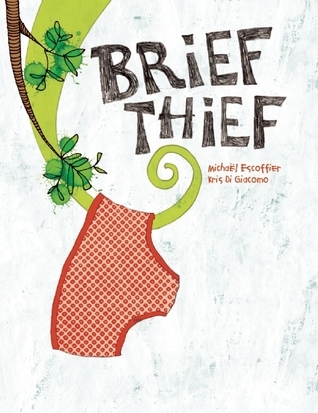 This book was perfect because I could read the kids and see how much detail they wanted me to go into and then get moving when they started getting ancy. I transitioned into Five Elephants in the Bathtub by asking the kids if they could imagine all those animals going swimming, could they imagine an elephant going for a swim?! This song works really well because I have some pretty timid singers so by the last couple verses everyone had gotten the hang of it. I can plan a preschool storytime with my eyes closed, but when it comes to planning school-aged storytimes I am much less confident. Thankfully there are some really fantastic blogs out there with book and song recommendations for this age group. Do you read Storytime All-Stars? Well you should because she has tons of thematic school-age storytime outlines. There’s also the Harris County Public Library’s master list of storytime themes with a column for school-age storytimes. 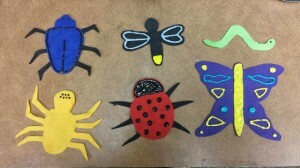 I love Jen in the Library’s school age posts because she shows how to take one theme and adapt it for multiple age groups. And a new-to-me blog that has a great variety of seasonal themes is Carol Simon Levin’s Program Palooza. Next, we’ve got the fabulous Abby the Librarian who has a series of posts on her afterschool storytimes. Lastly, for school age programming in general my favourite resources are Thrive After Three and Bryce Don’t Play. All of these wonderful bloggers inspired me to create a Pinterest board where I’ll be adding School Age Storytime Books and Songs that work for kids ages 5-12. After introducing myself, I briefly went over these key messages. The library is a place to have fun! You can learn new things at the library! To emphasize this last point, we started by singing “The More We Get Together” using sign language. 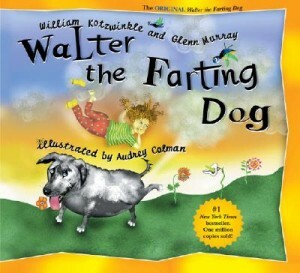 I asked the kids if they’d rather read about a farting dog or an iguana who uses underwear as toilet paper. Not surprisingly, they chose the farting dog. 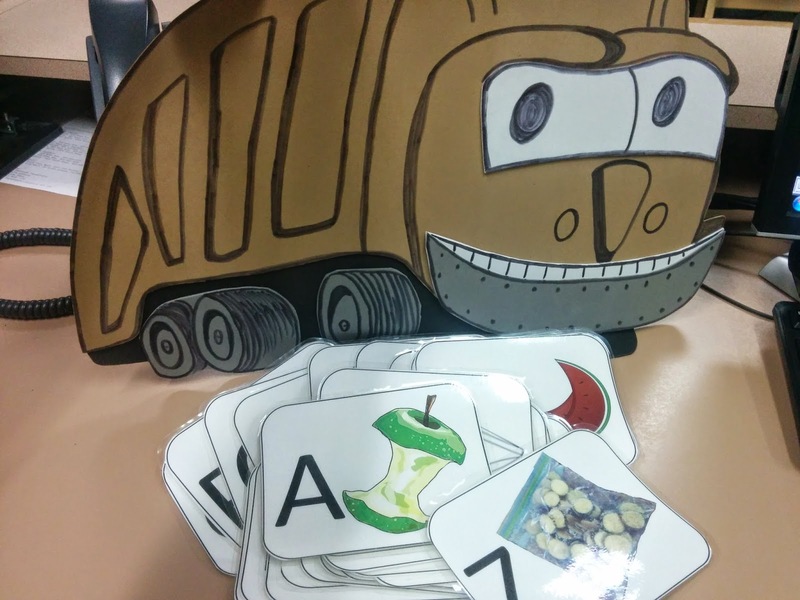 To adapt this song for school-age kids, we brainstormed different fruits and vegetables that had three and four syllables. They were really into it! I also asked them to create the hand movements, so they were essentially creating their own song.